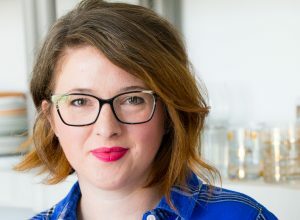 Were you wondering what my last Guinness recipe would be? I thought I would mix it up a bit by offering you an Irish inspired snack. 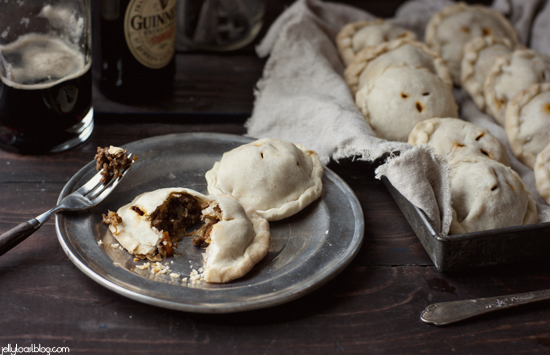 Teeny, adorable and delectable hand pies, filled with beef and vegetables, all simmered in a savory Guinness sauce. If you are looking for something to mix up your St. Paddy’s Day feast with, these are most definitely the way to go. I even took a little help and used a store bought pie crust to make the prep work even easier. Speaking of prep work, did I mention that these can be made and frozen ahead of time? It’s true. Just pull them out of the freezer and bake them from frozen. 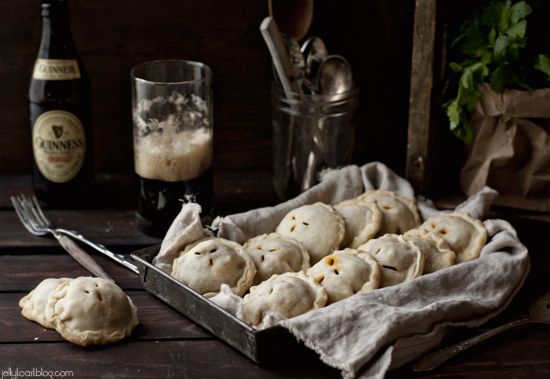 They are the perfect little appetizer for the upcoming Irish holiday. Or any day, really. One pie makes the perfect appetizer and four pies make the perfect meal. Still not convinced? My kids inhaled them. Seriously, they may have eaten more of them than me, and that is truly saying something. 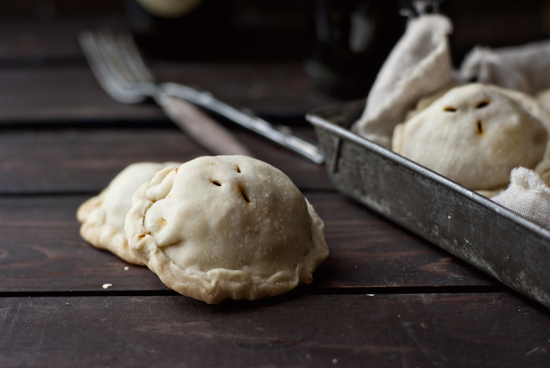 Head on over to Food Fanatic for my Irish Beef and Vegetable Hand Pies Recipe and have a wonderful and happy St. Patrick’s Day! 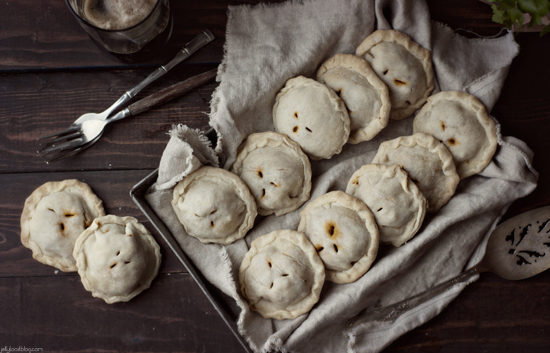 These hand pies look delish!!! So cute and mouthwatering at the same time!! !